The Maryland Department of Natural Resources Police is cracking down on the illegal killing of fish and wildlife through a partnership with Maryland Wildlife Crimestoppers. This newly established nonprofit organization serves as the state affiliate of International Wildlife Crimestoppers, a group dedicated to stopping illegal hunting and fishing across the globe. 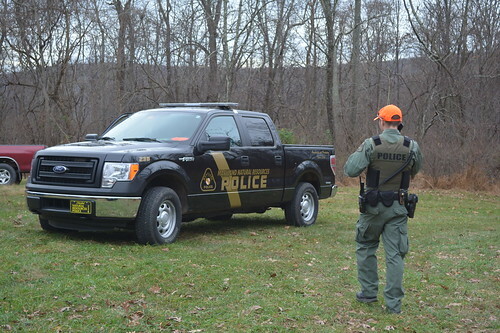 Maryland Wildlife Crimestoppers was established to increase public awareness of the impact of potential poaching on fish and wildlife populations, and encourage anyone with knowledge of these activities to connect with Maryland Natural Resources Police. Neighboring states Delaware and Pennsylvania host similar partnerships with International Wildlife Crimestoppers. Information can be relayed anonymously by email, phone or text to dispatchers, who will alert the nearest patrol officer. If the tip leads to the arrest and conviction of a suspected poacher, the Maryland Wildlife Crimestoppers board of directors may even issue a reward. Maryland Wildlife Crimestoppers does not receive any federal or state funding and depends solely on financial support from corporate, individual or public donations or gifts. Jack Bailey, a retired Natural Resources Police sergeant and St. Mary’s County native, is chairman of the five-member board. Other members include Shawn Derher, manager of Bass Pro Shops at Arundel Mills; Natural Resources Police Reserve Officer Stan Samorajczyk; and Ken Schrader, president of Schrader Outdoors LLC. Founded in 1997, International Wildlife Crimestoppers supports wildlife law enforcement officers in 40 U.S. states and five Canadian. Retired Texas Game Warden Lewis Rather currently serves as executive director. To contact Maryland Wildlife Crimestoppers, citizens can call or text 443-433-4112, email mwc.dnr@maryland.gov, or report violations using the department’s free mobile app. Donations to Maryland Wildlife Crimestoppers can be sent to: 580 Taylor Ave., E-3, Annapolis, Maryland 21401.